Who is Angel Arce? just one of the those average Joes whose been active for a good majority of my life (expect for a short period of time, we’ll get into that in a minute); yet, I never seemed to achieve a level of fitness I could be content with, until recently. My fitness journey started a few years ago, when I was weighing 197 lbs (at a height of 5′ 6″, that’s a lot) and diagnosed with psoriatic arthritis. My inflammation was so bad, I had to use a walker to get around. This was definitely one of the low points of my life. Doctors were putting my on all kinds of anti-inflammatory meds, but nothing really seemed to work. It got to the point that the only medication that would work was a bio-logic and I wasn’t comfortable with receiving a potentially cancer cause injecting one a month, so something had to change. A friend of mine, who also battles with arthritis told me about a diet that her doctor want her to try, so I figured I could try it (I’ve tried just about everything else), so I started on the paleo diet and after about 6 months or so, the inflammation was gone, but one of the unintended consequences was that I lost just over 30 lbs and felt more energinic ever. With the inflammation under control, I began my journey into fitness. 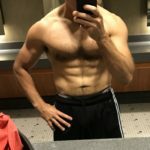 I’ve done a lot of research and trial-and-error and found what works for me (a 40+ year old man), so I started this blog to share my discoveries, ideas and tips in hopes of helping others achieve their fitness goals. What you’ll find in this blog is tips on nutrition, exercise and fitness resources. Nutrition -> information will be geared toward the paleo and ketogenic movements, how to sustainably maintain a healthy balanced diet on a budget. Fitness resources -> scientific studies, links to blog post from researchers and trainers I follow and respect, information on supplements and fitness equipment. My ultimate goal is to help others achieve their Do It Yourself fitness goals.